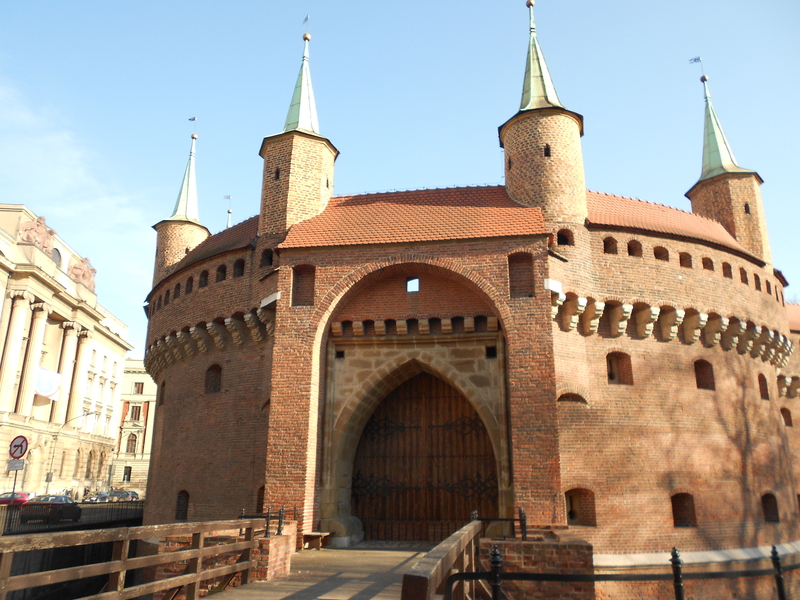 KRAKOW is Poland’s second largest city, and one of the oldest cities in Poland. 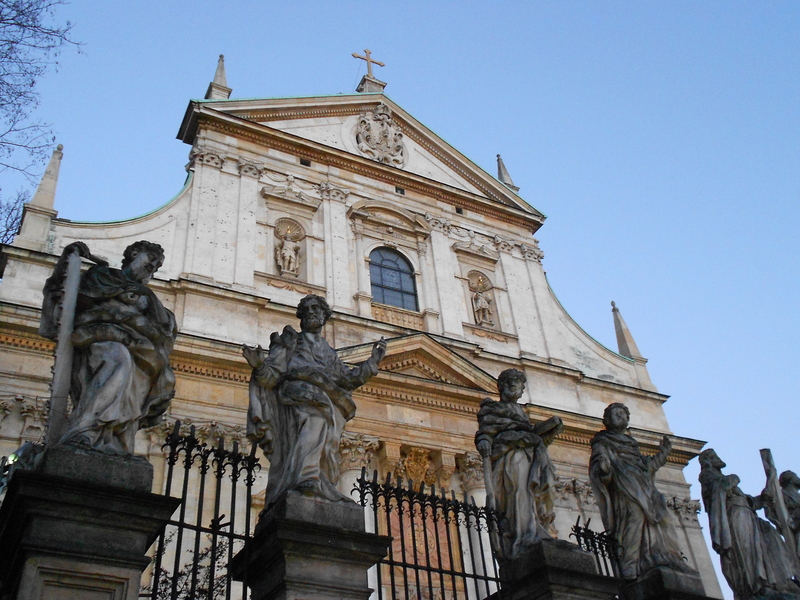 Many tourists skip Warsaw entirely in favour of Krakow, and it’s easy to see why. While much of the country was devastated by World War II, Krakow managed to escape the destruction, and retains much of its medieval charm and original architecture, packing a serious punch in the Eastern European tourism stakes. Krakow is a seriously CHEAP destination, even by Eastern European standards. In 3 days I spent less than £90 (including accommodation costs!) It’s very easy to navigate, and the locals are super friendly, even if they couldn’t speak much English they tried really hard to help out. Many signs are in English, so language isn’t too much of an issue. Full of vibrant, and sometimes tragic history, it’s also a perfect place for any history buff to head to. I stayed at the Tom & Greg Party Hostel on Zyblikiewicza Street, which I highly recommend. It’s cheap, has free wifi and breakfast/dinner, the best showers I’ve ever come across in a hostel, beautiful and clean decor, and the staff are extremely kind and helpful. The main square was my favourite part of Krakow. It was constantly buzzing, even in early March, and the buildings were incredible. It is the largest medieval market place in Europe, and is home to the gorgeous Cloth Hall, which has been around since the 1500s, and the grand and imposing Town Hall Tower. The whole square is a thoroughly pleasant place to be, with horse drawn carriages clopping around over the cobblestones, and plenty of cheap places to sit down with some Polish cuisine and people watch. Now this is a difficult place to advocate anyone go: travelling to a death camp will not be in everyone’s comfort zone, which I think is completely acceptable (post coming up on this) but I think the journey to Oswiecim (a town roughly 50 miles away from Krakow) is an important one to make. I won’t go into too much detail about Auschwitz-Birkenau here as I plan on posting about it in more detail next week, but I’ll relay the more functional facts about visiting. 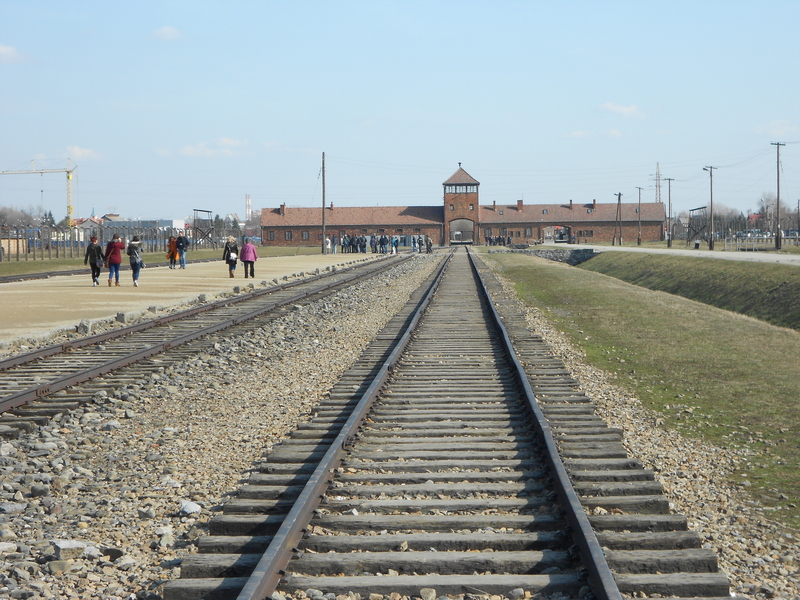 The camp is in two parts, Auschwitz, and Birkenau, which are a couple of miles apart. I’d recommend a guided tour, which lasts about 3 hours, and tells you about the camp’s macabre history. Auschwitz is largely well preserved, and many of the former barracks have been transformed into museum exhibits, which are as expected, absolutely heartbreaking to see, and include ‘relics’ from the Nazi stash of prisoners’ belongings, including a glass case full of thousands of childrens’ shoes. Birkenau is much larger, and takes some time to walk around. Much of Birkenau was destroyed by the Nazis when they realised that the allies were advancing, so there’s less to see here, but the awful gravity of the place lingers. Once again, I’d advocate a guide to really understand what happened here in the 1940s. Coaches leave from Krakow every day at 9am, and the journey takes a little over an hour each way. The trip, including transport and the guided tour, costs around £19 (student price). 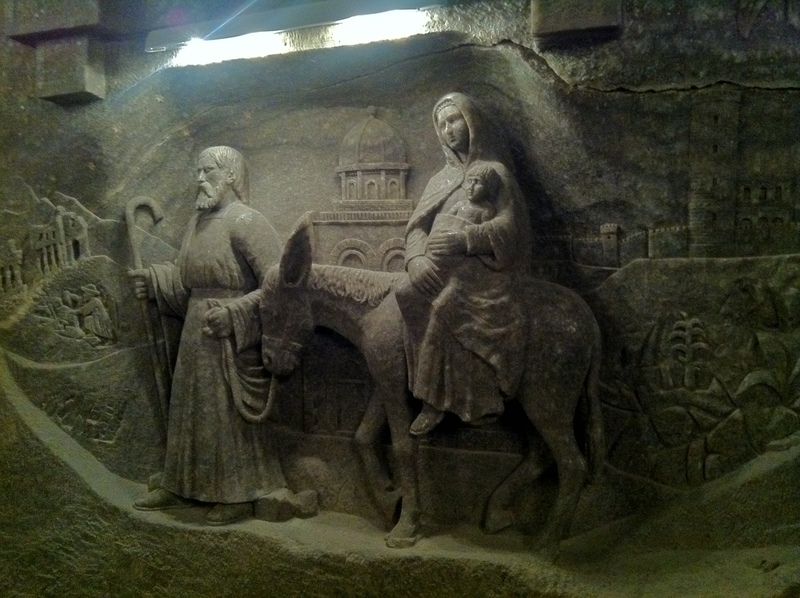 The salt mine at Wieliczka is located about 40 minutes from Krakow. Forget catching the horrendously overpriced tourist coaches which charge upwards of £40 for a day trip to Wieliczka. Simply hop on the local no. 304 bus (which leaves very regularly from the stop opposite the main shopping centre and train station). It costs just 4 zloty – roughly £1.50! Massive savings for anyone who doesn’t mind taking public transport. Exit the bus at Wieliczka Soli (look for the giant Salt Mine sign) Entrance to the mine is fairly expensive by Polish standards, though if you’re a student and can produce your student ID it costs just 49 zloty – £10. For this you receive a guided tour in English (also available on a less frequent basis in other languages) which lasts for 1.5-3 hours. My guide was absolutely fantastic, very funny, spoke perfect English and was worth every penny. I would say that if you’re disabled, or suffer from claustrophobia, then the mine might not be a good place to visit. To enter you need to descend hundreds of steps, and some of the passages are a little precarious. It’s also relatively dark, and in some places a little compact, and you do go up to 900 feet below the surface level. The journey takes you through 2.5km of mines, where you can view beautiful carvings and sculptures created by miners over the centuries. 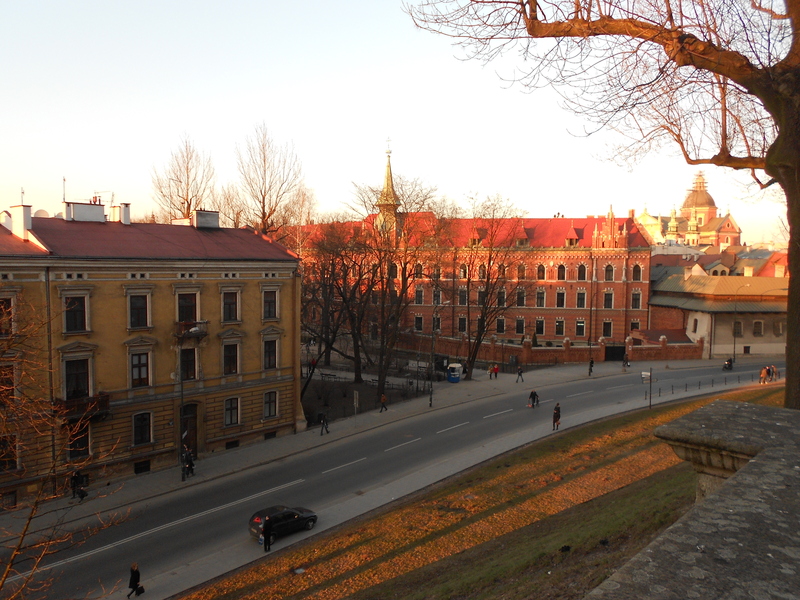 Wawel Castle is the former home of Poland’s royalty and boasts some incredible views over Krakow. Its rather unusual cathedral features various clashing architectural styles, which are beautiful (if not slightly bizarre) to look at. Make the journey up to the top in the late evening, and you’ll be rewarded with stunning views of the sunset over the river and the city. The streets are lined with colourful old buildings, and medieval remnants of the ancient city. I enjoyed simply walking around the streets, taking in sights, and tucking into the ridiculously cheap and filling snacks sold from the street food vendors all over the city. Get your picture taken with this guy, who’s hanging out on a wall just around the corner from the main market square. 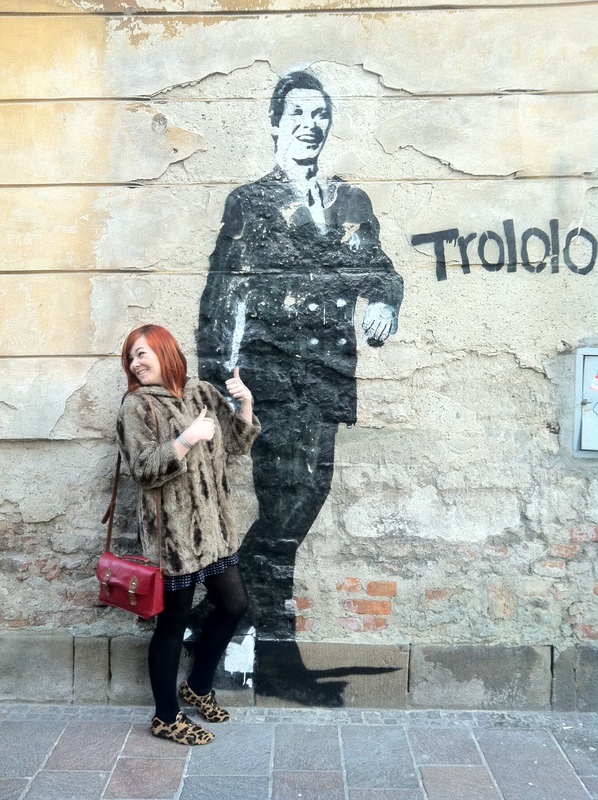 Tags: Budget Travel, Eastern Europe, Europe, Krakow, Poland. Bookmark the permalink.